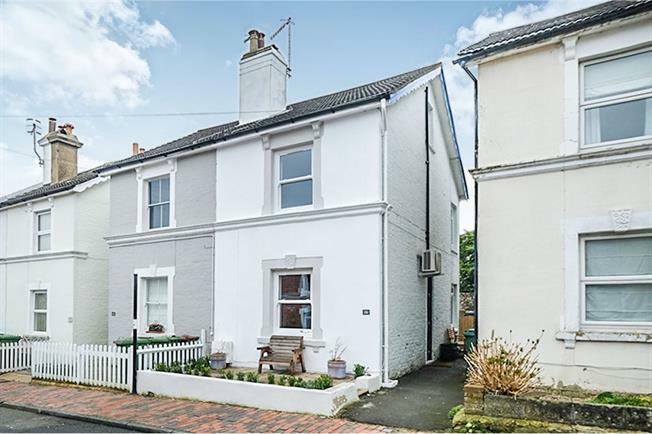 Freeman Forman are delighted to present this beautifully refurbished two/three bedroom semi detached house, located in the sought after St. James area of Tunbridge Wells within reach of the highly regarded St. James Primary School. The current owners have created flawless and stylishly appointed accommodation arranged over three floors. The ground floor accommodation includes an entrance hall, sitting room with fireplace and window shutters, dining room with under stairs storage, stunning open plan kitchen, utility room and cloakroom. Stairs rise to the first floor landing where an impressive master bedroom can be found with window shutters, a further bedroom, and an impressive bathroom with separate shower. A further staircase then leads to the second floor attic room which is currently used as a bedroom and benefits from an imaginative children's play area. The property benefits from a gas central heating system and double glazing throughout. Outside there is gated side access to the low maintenance rear garden which is considered to be ideal for entertaining. The property offers easy access to the towns amenities, two mainline railway stations and the Hilbert & Grosvenor Park. An internal viewing comes highly recommended.